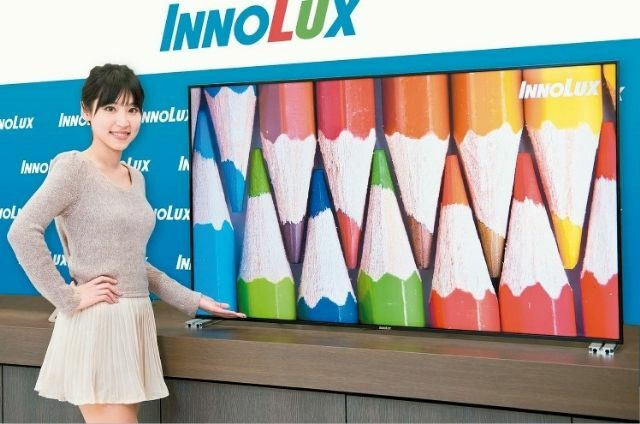 Global shipments of LCD TV panels in June fell 0.5 percent month-on-month (MoM), but increased 7.9 percent year-on-year (YoY), to total about 22.6 million units; while accumulated TV-panel shipments in the first six months reached 132.3 million units, meeting 52.5 percent of the year's total LCD TV panel demand that is estimated at 252 million units, according to WitsView Technology Corp., a LCD market research firm under TrendForce. Historically, Witsview said, this is the first time that over 50 percent of a year's total shipments has been achieved within the first six months of a year. This first-half shipment not only sets a record but will also create inventory issues that will affect the purchasing strategies of branded TV vendors in the second half of 2015. WitsView's analysis further revealed that TV vendors had been aggressively stocking up panels since this year's first quarter because of the shortages in the previous year, which resulted in unusually strong demand during the off-peak season. Moreover, TV shipments in the first quarter dropped just slightly by 0.8 percent thanks to TV vendors' vigorous efforts in achieving their annual shipment targets; while despite the base period being set relatively higher for the second quarter, the quarterly TV shipments still posted a growth of 3.3 percent. Nonetheless, inventory pressures mounted for TV vendors during this year's first half because of the depreciating euro and emerging markets' currencies made the consumer market weaker than originally expected, WitsViews said. By the end of the second quarter, TV vendors had surplus panel stock level of two to three weeks compared to the first quarter. Vendors therefore are gradually adjusting their shipment targets. Moreover, the accumulation of purchased panels in the first half, as well as uncertain market demand ahead, are going to affect vendors' willingness to add to their stock. Based on WitsView's projection, there might be a 0.7 percent quarterly decline in panel shipments in the third quarter, and this is quite unusual during the traditional peak season. WitsView's forecast for the third-quarter LCD TV panel shipments notes that even as the market is preparing for the Black Friday sales peak as usual, it will be relatively less robust than it was in the same period of past years. This situation indicates that retailers are steadily becoming more uncertain about the consumer-market demand. In the coming months, a series of shopping-oriented holidays are on the calendar in China, including the Mid-Autumn Festival, National Day, Singles' Day, and the Double 12. These consumption-prone events will be able to support TV panel demand to a certain level before the traditional peak season, the research firm said. However, the excessive shipments during the first half of 2015 have led to a slow but ongoing increase in TV vendors' inventories, which may result in vendors' negotiation for lower panel prices in order to maintain their margins. In conclusion, WitsView said, the panel market this third quarter will not be as strong as that in previous years, because factors such as the overall economic environment and fluctuating currency exchange rates will affect consumer market demand. WitsView also foresees serious challenges to market confidence in the fourth quarter.